All right, everyone listen up and huddle close. Maybe it’s been a long week already, or maybe that tiring process is just about to begin. It doesn’t matter what the circumstances or the specifics are that have brought you to this brink of defeat. What matters now is that you listen to these inspirational words, get pumped up, and really show’ em what you’ve got! Maybe that doesn’t mean winning the big game, but it does mean winning something even more impressive: self-respect. Discipline. A chance to say that everything was left out on the field, rink, karate mat, or, in one very specific case, a bobsled course. 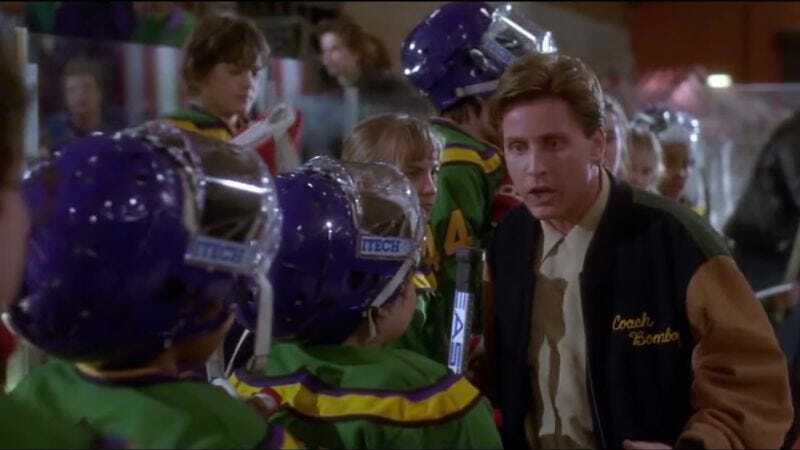 That’s why Burger Fiction (in collaboration with Esquire) has assembled this supercut that creates the most motivating coach speech in cinema history. (The lack of Bill Murray’s “It Just Doesn’t Matter” speech from Meatballs is a harsh oversight, but then he probably wasn’t technically a coach, so it can be forgiven.) The video culls from 19 different films to deliver an emotionally rousing appeal to get out there and give it your all, no matter what the odds may be. Now let’s get out there and show some hustle!